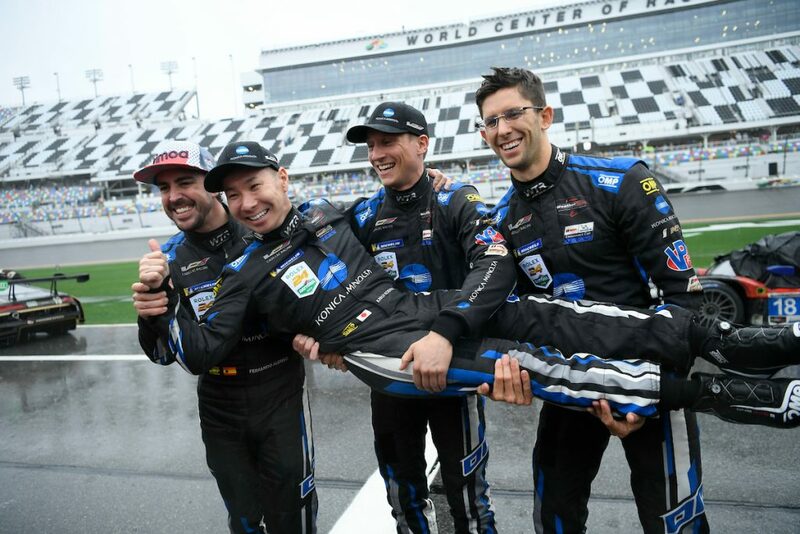 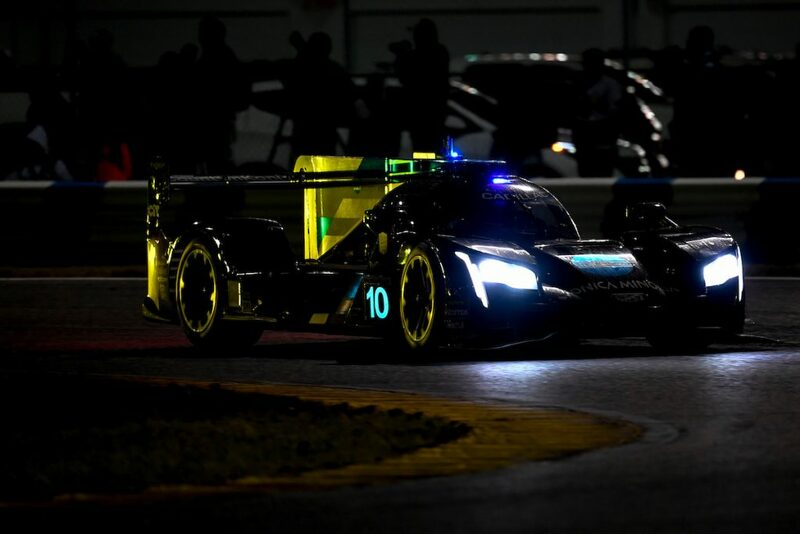 Ex F1 drivers Fernando Alonso & Kamui Kobayashi formed half of the driving team of the #10 Wayne Taylor Racing Cadillac at Daytona Beach for the Rolex 24 Hours. 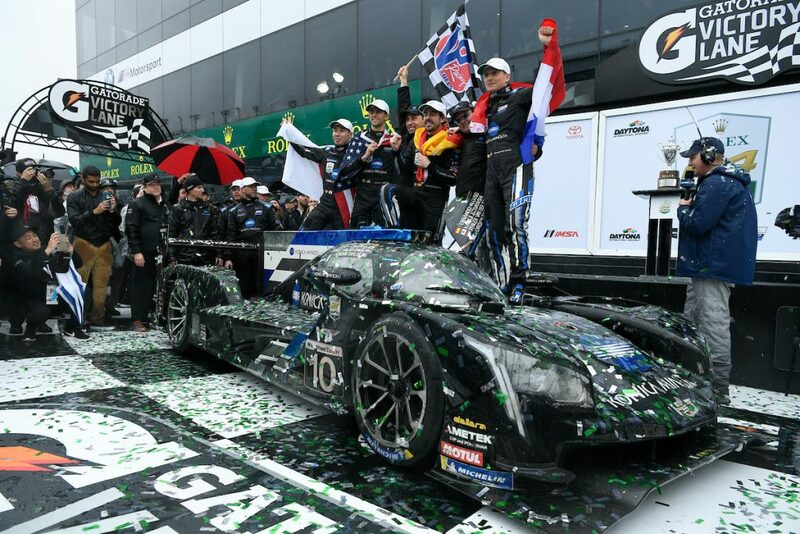 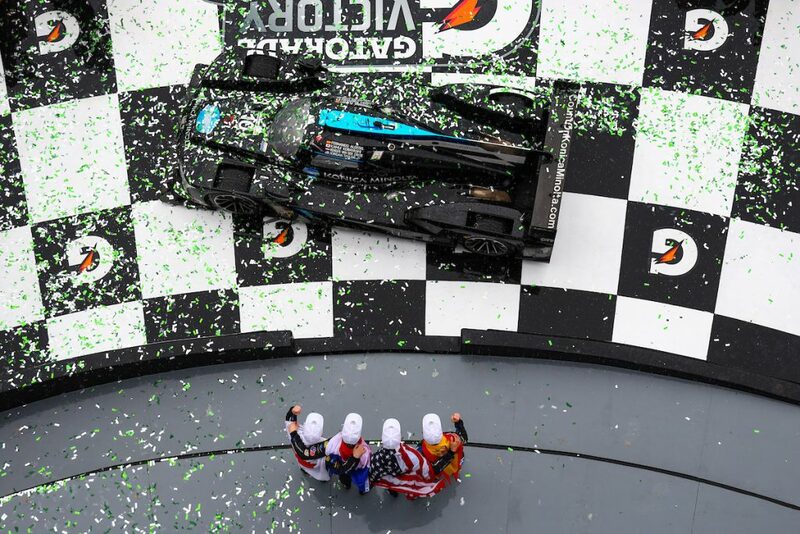 The Wayne Taylor Racing #10 Cadillac, driven over the 24 hour race by the two time F1 Champion, Kamui Kobayashi, Renger Van Der Zande & Jordan Taylor claimed victory in the rain-shortened event. 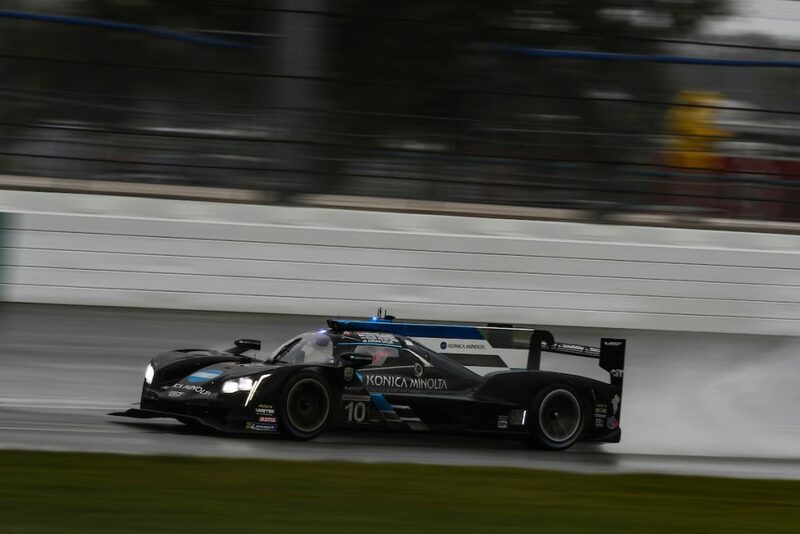 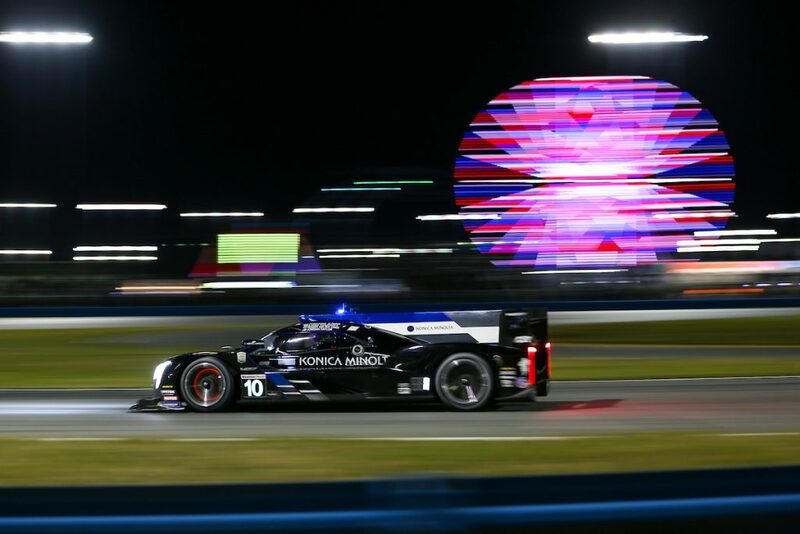 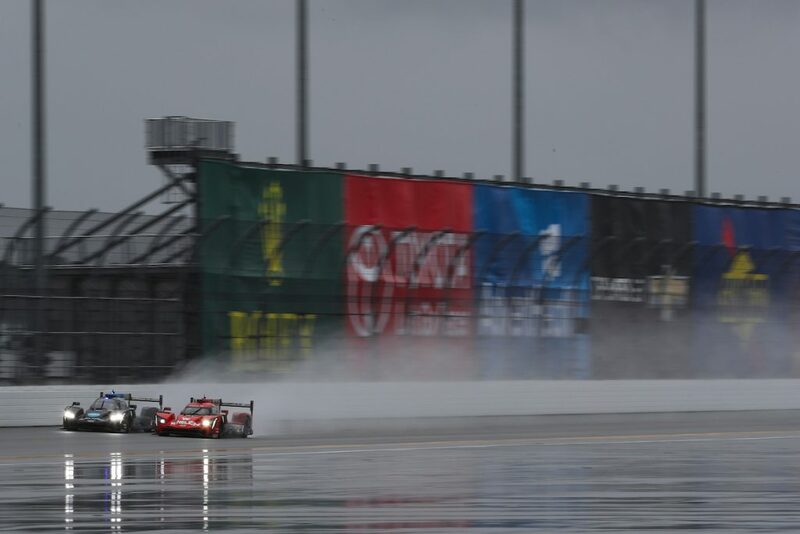 It was a dramatic race, with the #10 eventually taking the win after fending off strong challenges from other DPi cars, particularly the two Penske Acuras and the #31 Cadillac. 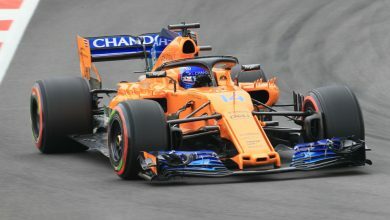 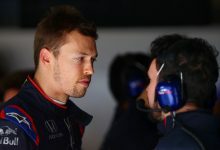 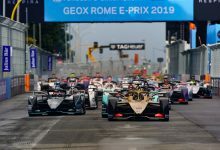 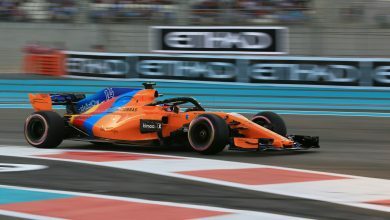 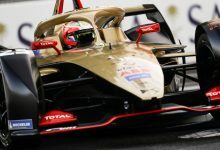 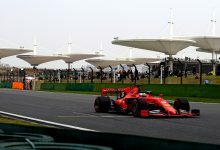 There was F1 representation in those cars as well, with Felipe Nasr, Juan Pablo Montoya & Alexander Rossi all involved in the front-running battle. 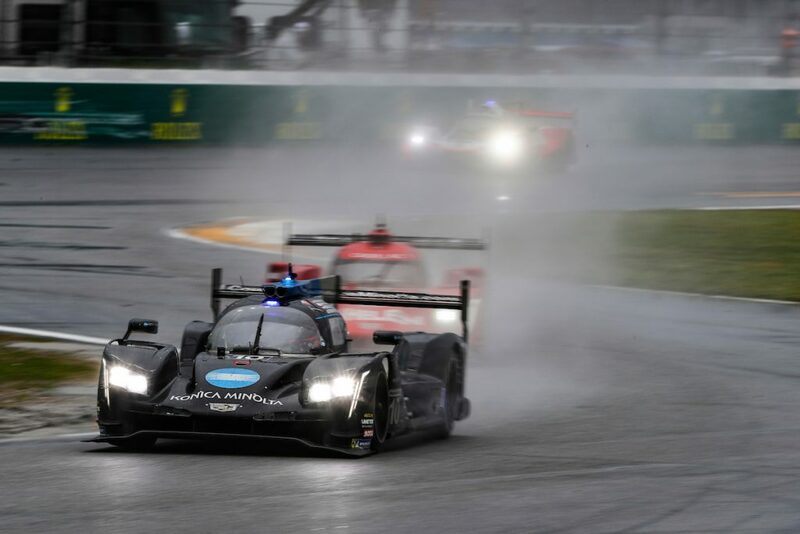 Read the full report of the race here. 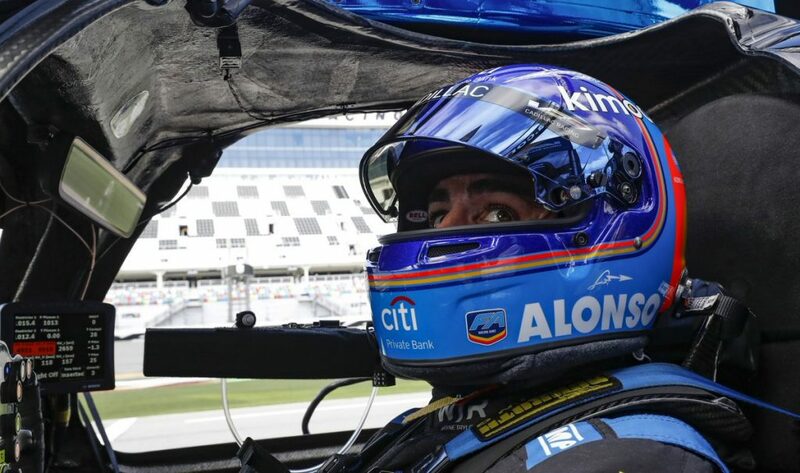 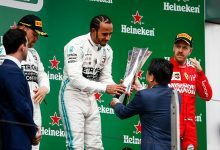 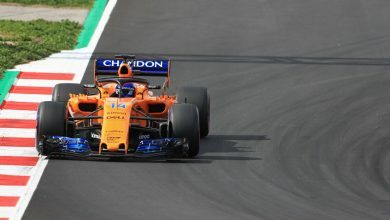 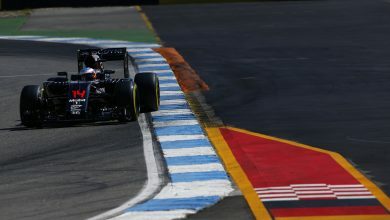 The victory adds to Alonso’s impressive list of achievements, with this accolade in addition to his contribution to Toyota’s victory in last year’s Le Mans 24 Hours in LMP1. 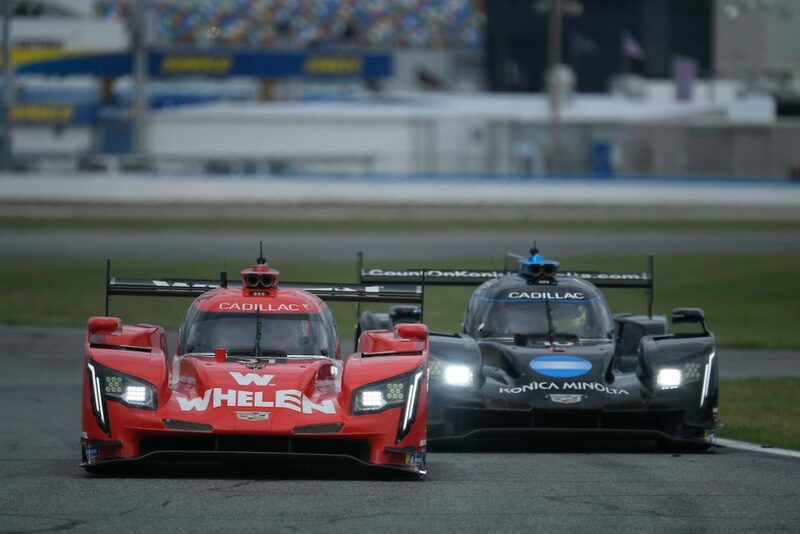 Below are selected photos of their race; all images are courtesy of IMSA and are published with permission.